More than 550 athletes from 133 countries took part in the IAAF World Indoor Championships in Birmingham from March 1-4, with 750 volunteers – known as Gems – supporting organisers in hosting the biggest global athletics event of 2018. Despite adverse weather conditions, thousands of spectators attended the event and witnessed some top-class action, with one world record, three championship records and 26 national records broken. 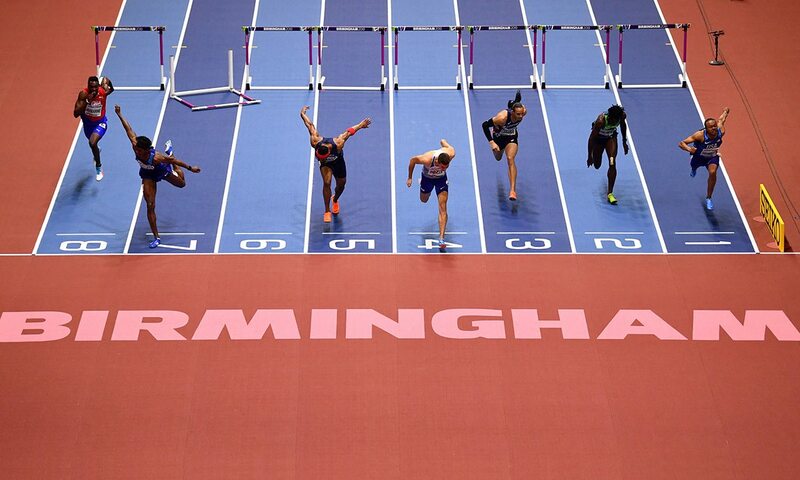 The event was organised jointly, on behalf of the IAAF, by Birmingham City Council and British Athletics. Councillor Ian Ward, Leader of Birmingham City Council and chair of the Executive Steering Group said: “Birmingham has once again proven itself to be a city that loves sport and a city which has everything needed to host world-class sporting events. “It was an absolute honour to stage the IAAF World Indoor Championships, and despite the freezing conditions outside, the spectators inside Arena Birmingham created a red-hot atmosphere for the athletes. The United States topped the medal table but by making the most of having the home crowd behind them, the Great Britain and Northern Ireland team finished fourth with seven medals – two golds, one silver and four bronze – matching the medal haul from 2003, when the IAAF World Indoor Championships was last staged in Birmingham. One of those gold medals was won by Great Britain and Northern Ireland’s co-captain Andrew Pozzi, who was victorious in the 60m hurdles on Sunday evening. Pozzi, who is from nearby Stratford-Upon-Avon and has competed at Arena Birmingham from a young age, was delighted to be crowned champion in front of a home crowd. “This is honestly a dream come true and to do it in Birmingham just multiplies that ten-fold,” he said.